Habitat: Desert, Upland. It grows in sandy or gravelly areas. Flowering Season: Spring. It disappears quickly once the weather warms. 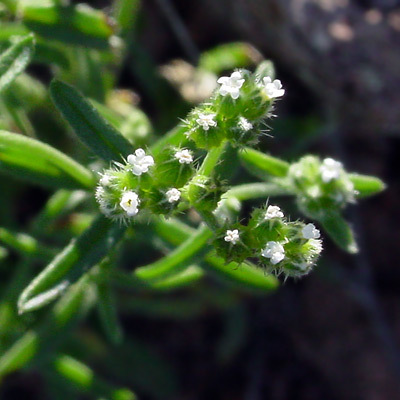 Description: The flowers are tiny and tubular with 5 rounded lobes. The flowers are followed by 4 nutlets, with most or all being winged. The leaves are green, covered in ascending bristles, and linear to oblong in shape. 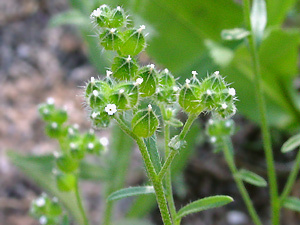 The stems are green, branched, and hairy.